Dainty, formerly Mount Royal Rice Mills, was founded in Montreal in 1882, on the edge of the Lachine canal, by Robert Reford, an Irish immigrant. Reford adventurously sourced rice in the Orient, South East Asia, Europe and South America. The Dainty Brand was created for the post-war consumer in 1947 when consumer packaged goods became popular. Loyal to its origins, Dainty provides consumers with a huge variety of rices sourced all over the world and visually guides you to travel to rice origins with its packaging. Dainty also supplies a large number of food service companies and manufacturers with rice and rice flour, as it has done since its beginnings. Dainty remains Canada’s only rice mill, and continues to source, mill, clean, package and distribute over 40,000 metric tons of the highest-quality rice each year, proudly. 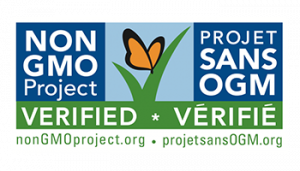 Our rice is certified by Non-GMO Project, through Food Chain ID. In basic language this means the DNA, or natural genetic make-up, of the rice seed has not been tampered with. GMO crops have had a trait from another plant inserted into their DNA to provide the now genetically modified seeds with an attribute they did not have naturally. While our rice is naturally gluten-free, the Dainty mill is a certified gluten-free facility without risk of cross-contamination, certified under the Gluten Free Certification Program (GFCP) and endorsed by the Canadian Celiac Association. Every grain starts life as a whole grain, as the term refers to the entire seed of the plant, including the bran, germ, and endosperm. Brown rice is an intact whole grain, with just the inedible outer hull removed. White rice is the same grain, with the hull, bran layer and cereal germ removed. For this reason, brown rice has greater nutritional value than white rice as its remaining bran layer contains prominent levels of magnesium, fiber, iron and B vitamins. Bran: rough and hard outer layer which protects the seed and contains fiber, minerals, and antioxidants. Germ: The nutrient-rich core containing carbs, fat, protein, vitamins, minerals, antioxidants and other plant compounds. Endosperm: this is the largest part of the grain, which consists almost entirely of carbohydrates and a small amount of protein. Mix and match your rice types to create a more complex flavour and texture! Cook extra portions of brown rice to keep it on hand for your next meal – it is great in a salad for lunch. Cooked brown rice, or any rice for that matter, can be kept in the fridge for 3 days, or in the freezer for up to 6 months – so you can keep some handy all the time. A rice grain is considered ‘long’, when its length is at least 3 times its width. There are thousands of different strains of rice but thankfully rice is most frequently classified by its grain size, long, medium or short.Generally the longer the grain the dryer, fluffier and less sticky the cooked rice will be. Vitamins & Minerals: rice contains more than 15 vitamins and minerals, including folic acid, B vitamins, potassium, magnesium, selenium, fiber, iron, and zinc. It is a minor source of complex carbohydrates, protein and antioxidants. Highly digestible – which is why it’s great for upset stomachs, even for your dog! Anti-inflammatory: rice contains important omega-6 fatty acids, which reduce inflammation. The anti-inflammatory properties in rice are also essential in maintaining a healthy skin. Good for diets : Often people try to eliminate carbohydrates from their diet when trying to shed pounds. However, rice can actually help maintain a calorie controlled eating plan by increasing satiety and a feeling of fullness. Source of resistant starch: rice is a source of this substance which seems to show promising benefits for the prevention of certain cancers. Enriched rice: is a rice which has been enriched with additional folic acid. A lack of general nutrition post-war was when ‘enrichement’ was supported. Today consumers have a much wider range of foods available for nourishment and enriched rice is not necessary. Rinsing Dainty rice is not necessary. Once imported the rice is cleaned at our mill in Windsor, Ontario. The rice is run through sorting equipment to remove foreign material. There is actually no right or wrong, for many rinsing rice is a cultural preference. Rinsing your rice will remove surface starch, usually making your rice slightly less sticky. Importantly, rinsing your rice will not remove any nutrients. In some cultures the rice is soaked before cooking to soften the grain, reducing breakage when it is handled and served – but this is not necessary, just a preference for some. What is a PILAF ? Pilaf, sometimes known as Pilau, Pulao or Pellao, some say is the Middle East’s and India’s major contribution to world cuisine; where, usually basmati, rice is cooked in flavoured stock with spices, typically having added meat or vegetables. Parboiling is a centuries-old ingenious technique of driving the nutrients into the grains of rice so that once milled the rice is almost as nutritious as brown rice. The parboiling method steams rice while still contained in its in its husk. This drives much of the nutrition from the outer bran and germ layer into the grain. The unhusked rice is then dried, milled and polished. Parboiled rice , when dry, subsequently has a yellowish tint and looks quite translucent due to the nutrients which have been driven into its center. When it is cooked, parboiled rice turns white. Parboiled rice will not stick, and has a slighty bouncy texture, which some say even squeaks when eaten. The cooked grains remain so separate that parboiled rice appears more voluminous. It is the ideal rice for keeping warm over a prolonged period or using in soups or stews if separate grains is the result you are seeking. In China and India rice has been parboiled for centuries. How should I store rice? Rice should be kept sealed in its package, or a container, in a clean, dry and ideally cool spot. White rice varieties, milled and polished, can be kept literally for years in a cool dry spot. In India, prized Basmati is aged, ideally for at least 10 years. Brown Rice will go rancid after a time due to the natural oil in the bran layer. You will know rice is rancid from an unpleasant odour and taste it will have. Rancidity will be slowed the cooler the rice is kept, the ideal is to store it in a glass jar in your refridgerator. How long can I keep rice? You’ve heard it said they’ve found rice in the pyramids? Well, it was likely very dry and would not have had much flavor, but was probably still edible. White rice can technically keep for years if well stored. However, brown rice will go rancid after some time even if kept in perfect conditions. The natural oil in the germ, or brown covering on the rice, will give off an unpleasant odor and will taste even worse. Why does Brown rice go rancid? Brown rice has a higher oil content than white rice as it retains its bran layer where the oil resides. Oxidization of the essential fatty acids within this layer is what causes brown rice to go bad . For this reason you can slow the process by keeping brown in a glass jar in your fridge, especially if you don’t eat it very often. You will know if it is rancid just by the smell, and it will taste even worse. In India, rice is used for many medicinal purposes. Cooked rice is mashed into a paste and applied to the skin in order to treat boils, sores, swelling and skin blemishes. Rice is also sometimes used to cover a patient’s arthritic body as a type of massage treatment. Sticky glutinous rice is also used in India to treat heartburn and indigestion; as well as extracts from brown rice are used to help treat breast and stomach cancer. Rice is good to eat for an upset stomach as it is gentle on the digestive system and will help restore the intestinal tract health by absorbing extra fluids. Brown rice has been shown to regulate serotonin levels. Serotonin is a neurotransmitter (a chemical involved in the transmission of nerve impulses between cells) which is formed in the brain and found mainly in three parts of the body – the brain, the digestive tract, and the blood platelets. The main effect of serotonin is to improve mood and induce that ‘satisfied’ feeling. Serotonin also helps promote sleep and relaxation. Kedgeree is a British word borrowed from the Hindi word ‘kitchri’ or Farsi word ‘kichiri’, both meaning cooking rice with other ingredients. In Victorian England, it became a breakfast recipe consisting of rice with cooked flaked fish, served either hot or cold. Oryza sativa is the classification name for what the Western world refers to as rice. It contains two sub-categories, ‘Japonica’ for the shorter, stickier grains and ‘Indica’ for the long grain varieties. The origins of this classification are from a genus of perennial grass that originated in India, Thailand, and southern China. All the Dainty kinds of rice except for wild rice fall under this classification. Wild rice describes 4 different species of grass, 3 are native to North America and 1 to China, all classified under the genus Zizania. Wild rice has a chewy outer sheath and a dense inside grain that is rich in nutrients. It grows in shallow water on short stalks. Wild rice grains are high in antioxidants, proteins minerals, vitamins, and dietary fiber. This rice is so good that various aquatic animals also use it as a food source. Steaming is the preferred cooking technique for sticky rice and also for some low-amylose kinds of rice (amylose is a long, straight starch molecule that does not gelatinize during cooking). The rice is usually soaked in water first, then drained. The grains are then put in a special steaming basket of spread out in a flat steamer. The basket or steamer is placed over a pot or wok of boiling water. The rice does not touch the water; it is cooked only by the steam. Why do you find rice in salt shakers ? Rice absorbs humidity, and salt will attract humidity if it is present. The size of rice grains won’t pass through the salt shaker head, making it a great way to keep your salt from clumping and not having dry rice sprinkled all over your plate! This is also the reason rice is great for drying out cellphones and removing humidity from shoes for instance. Tidbit: Rice flour is used as an ingredient in many batters to make fried foods crispier and as a thickener or bulking agent in all sorts of foods – all because of its ability to absorb moisture.